This past week has been an absolute whirlwind. We're finally home, but I've driven more in the past week than I ever imagined myself doing (including in some heavy duty traffic in the Windy City). Along with some lovely time spent with both sides of the family, I went to two conferences. The first was a phenomenal blogging conference put on by the beautiful Bonnie and Katrina (who are both even more lovely in person, if that is even possible!!). 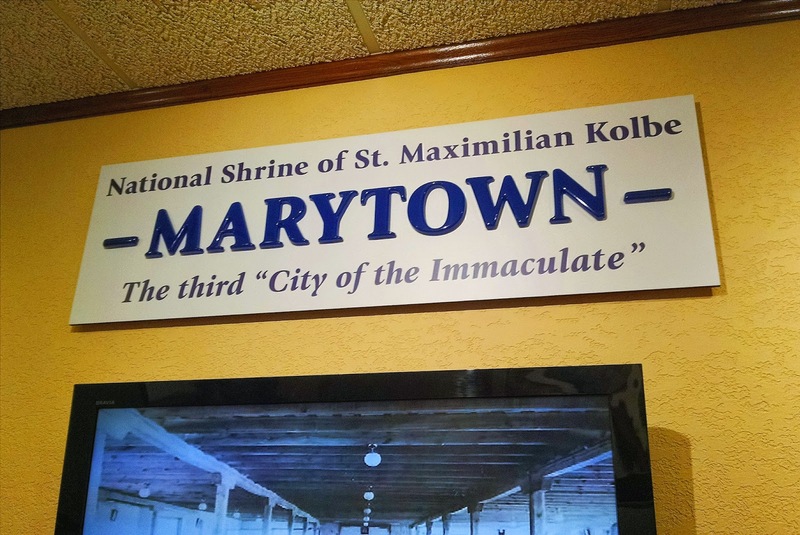 At any rate, the meeting was held at Marytown, the home of the National Shrine of St. Maximilian Kolbe. So, today's post is dedicated to him. St. Maximilian Kolbe was a Polish priest, with a strong Marian devotion. He is well known for starting the Immaculata Magazine (which was really ahead of its time) and the Militia of the Immaculata. And did you know that, because of his work with publication, he is the patron saint of media communications?! Do you think that includes social media? But probably what he is best known for, is the way in which he died. Fr. Kolbe was imprisoned in a concentration camp. 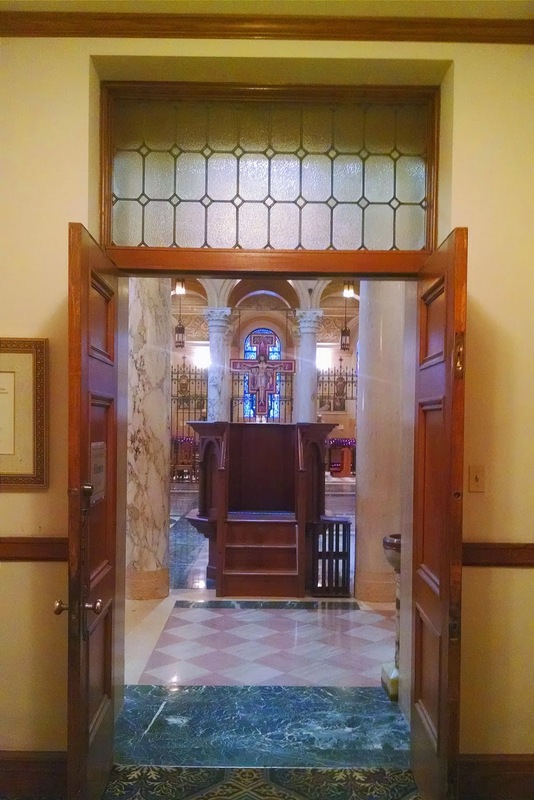 When a husband and father was selected to die, Fr. 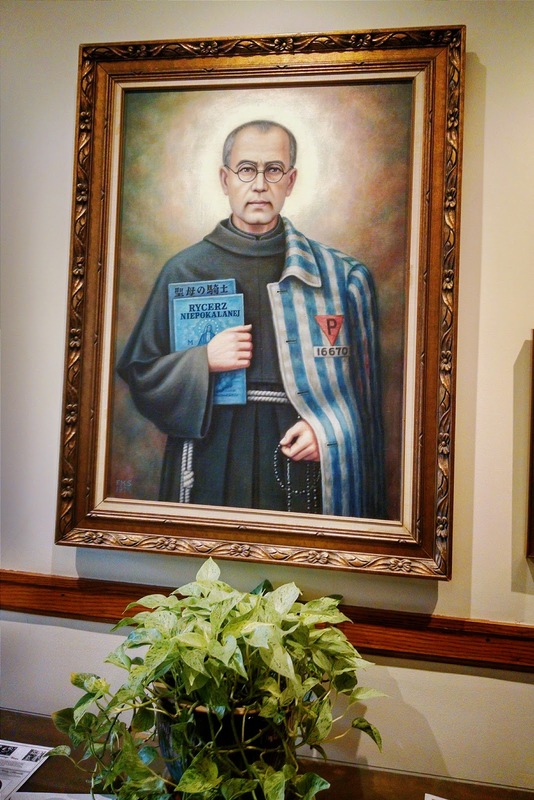 Kolbe volunteered to take his place, and thus became a martyr for his faith. I remember first hearing this story when I was very young. The Carmelite Monastery that I grew up going to, and talk incessantly about, was home to Polish Carmelites. That means that they not only have a portion of their beautiful grounds dedicated to Pope St. John Paul II, but they also have a garden dedicated to St. Maximilian Kolbe. I remember that little shrine, tucked away in the beautiful grounds of the monastery. A stone statue was hued out in the center of the little shrine, and it appeared to be a prisoner, holding out his heart. My parents told me his story, and even then it intrigued me. Could I be as brave as Maximilian Kolbe was? In the face of fear and opposition, I look to Fr. Kolbe, and his unwavering faith and love in the face of the evil in the world he lived in. I pray that I may be as brave and willing to stand up for the truth, especially in those times when it is embarrassing and uncomfortable. I love that little one so much! And if anyone wants to enjoy some awesome 24/7 perpetual adoration, I recommend visiting Marytown in Libertyville. The chapel is absolutely beautiful! I remember visiting a Marytown in Illinois when we lived there. I can't remember exactly why, but we were there. Is it the same one?